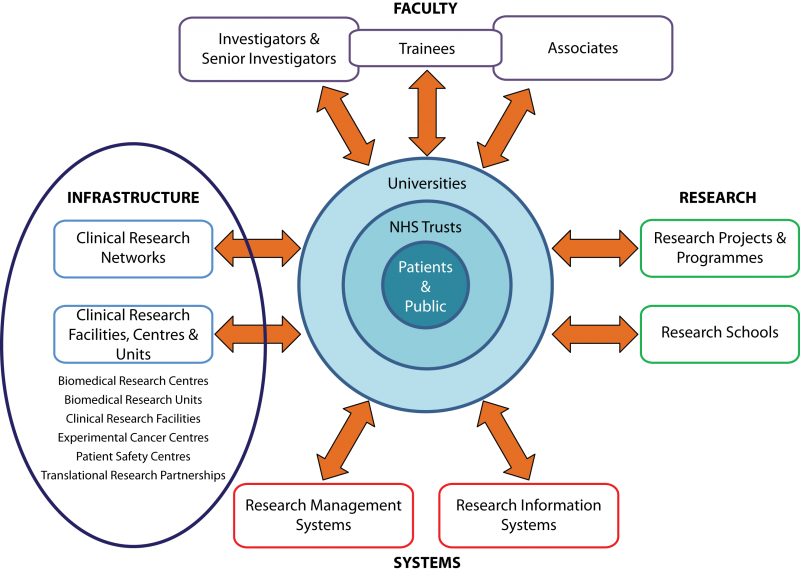 The UK Clinical Research Facility (CRF) Network aims to identify, develop and share systems for the delivery and management of operational activities across the UK clinical research and experimental medicine infrastructure. Their 8th Annual Conference was held in July 2012 in Dublin, with the theme: “International Collaborative Clinical Research and Global Health”. The conference provides an excellent opportunity to network with staff from clinical research facilities and to gain an understanding of their continuing evolvement to meet the changing needs of researchers. With the support of a TCRN ‘Bridging the Gap’ Conference Grant, I was able to take advantage of this opportunity in 2012. Infrastructure providing the support and facilities required for world class research, including clinical research networks, translational research centres and clinical research facilities. The conference highlighted the need for strengthened links in research funding processes, in order to ensure that each of the system’s components are provided with the necessary support to ensure an uninterrupted research cycle. During the conference, we heard from researchers from a wide range of clinical disciplines (psychiatry, infectious diseases, cystic fibrosis, medical imaging) who each provided examples of how the support of the research infrastructure facilitated their research. One such example presented was the Cambridge Bio-Resource – a resource of over 12,000 healthy volunteers and patients willing to provide DNA and health data for research studies investigating the links between genes, the environment and disease. This illustrated how the availability of key infrastructure for recruitment, patient access and tissue access facilitated program success. This program, developed through a collaboration incorporating university (Cambridge), government (National Health Service [NHS] Blood and Transplant), non-profit organisations (Wellcome Trust and the Sanger Institute), and the NIHR-funded Cambridge Biomedical Research Centre, also demonstrates the strength of combining the expertise and resources of a range of stakeholders. increasing the opportunities for patients and the public to participate in, and benefit from, research. The UK CRF Conference highlighted NIHR achievements to-date, including increasing NHS funding of clinical grade academics, doubling participant recruitment to NIHR Clinical Network Portfolio studies and attaining high-levels of NHS staff participation in their Good Clinical Practice (GCP) training program – a comprehensive program which aims to provide the foundational skills and knowledge for clinical staff to practice safely and responsibly in the research field. The NIHR has also injected funding into 2 Translational Research Partnerships and 11 new Biomedical Research Centres. The National Health Research System has embedded research as a core performance indicator of NHS institutions and transformed how health research is supported and funded. It is evident that the changes achieved in the UK would have been unimaginable before the current health system reorganisation that began there in 2005. Given the apparent differences in health care funding and government structures between Australia and the UK, direct transposition of such a strategy would be difficult to conceive. However the progress achieved by these efforts certainly provides both valuable lessons and a stimulus for the continued development of effective and sustainable clinical research systems in Australian health services. Theresa Ledger was recipient of a TCRN ‘Bridging the Gap’ Conference Grant for attendance at the UK Clinical Research Facility Annual Conference, held in Dublin in July 2012.
clinical trials conduct, both as a clinical research nurse and in research management and governance. Theresa has presented and advised nationally on preparing for regulatory Good Clinical Practice (GCP) inspections, has published a career framework for clinical research nurses, and is currently an expert reviewer for a GCP course developed by Imperial College London.